We are excited to announce our most recent update is about to be released. 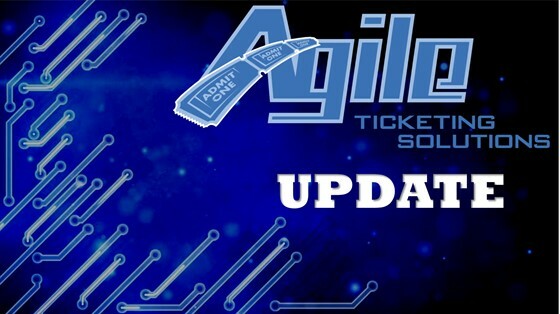 This update provides significant benefits to the Agile Ticketing System. The update is expected to occur Tuesday, May 30, 2017 from 3:00 AM to 5:00 AM CST. For more information about the update CLICK HERE. Tuesday, June 6, 2017 at 2:30 PM Central Time.